A climber navigates a cliff in the Denny Cove area. Nature enthusiasts should go ahead and familiarize themselves with the name Denny Cove, because the 685-acre parcel of Marion County wilderness will soon be a staple of Southeast Tennessee's outdoor lexicon. The Access Fund and Southeast Climbers Coalition announced their acquisition of the property on Monday and are diving immediately into a work list that could turn the area into one of the region's premier rock climbing destinations. Denny Falls is a highlight of the Denny Cove area. Denny Cove, located about 35 miles northwest of downtown Chattanooga, just south of the popular Foster Falls climbing area, already offers 150 climbing routes on its nearly three miles of cliff line. Soon, it will be fully accessible to the public for the first time. The climbers coalition and the Access Fund are recruiting volunteers for "Denny Days" from 8 a.m.-noon each Saturday and Sunday for the next several weekends to help develop trails through the property. Volunteers, in turn, have access to the walls, slabs and crags during the afternoon. "It's a completely undeveloped tract of land," said Zachary Lesch-Huie, southeast regional director for the Access Fund. "We're working hard with the South Cumberland State Park to build things out from the ground up. There are no trails, no parking. So that basic infrastructure isn't there yet. We've got to build that out to a degree before folks can get out there and enjoy it." Lesch-Huie said the target date for completing the work is two months, meaning the area would be fully open for public exploration in October, if all goes according to plan. The tract will be turned over to the state park once work is complete, and it will be managed similarly to Foster Falls, which is about 2 miles north of Denny Cove and also part of South Cumberland State Park. 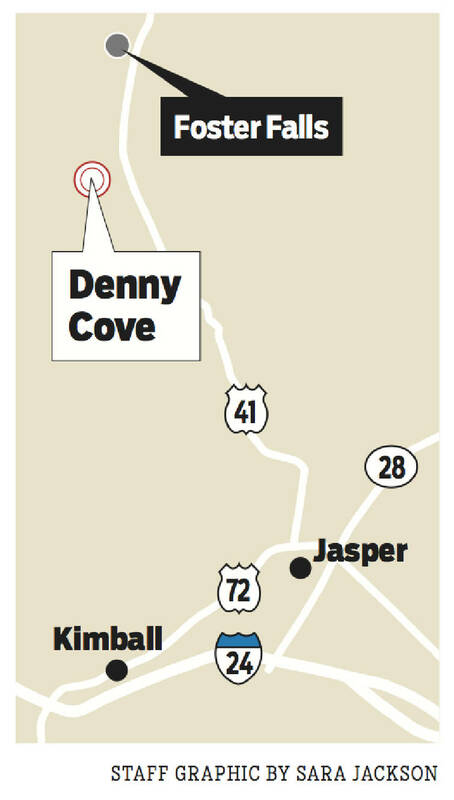 Denny Cove cost $1.2 million to acquire from a timber company, according to a Monday news release announcing the purchase. The Land Trust for Tennessee and The Conservation Fund helped with the acquisition. Friends of South Cumberland, the Riverview Foundation, Lyndhurst Foundation and Open Space Institute also supported the project. SCC executive director Cody Roney said the area will appeal to hikers who do not climb, as well, featuring attractions like a 70-foot waterfall. Primitive camping and trails to scenic overlooks are part of the future plans. "We definitely look forward to the day we get to open this to the public not just on a limited basis," she said. Climbers began taking an interest in Denny Cove close to five years ago. Impressed by the beauty and opportunity, they reached out to Lesch-Huie. Others were interested in preserving the land, and the groups responsible for Monday's announcement came together. Lesch-Huie said the area had not been timbered recently but that it was still a possibility, as was private development. "It certainly would have made for some world-class home sites," he said. "But now it'll be open park space." The University of Tennessee at Chattanooga released a study this year that found climbers spend an average of $178 per trip, including $55.35 on food. 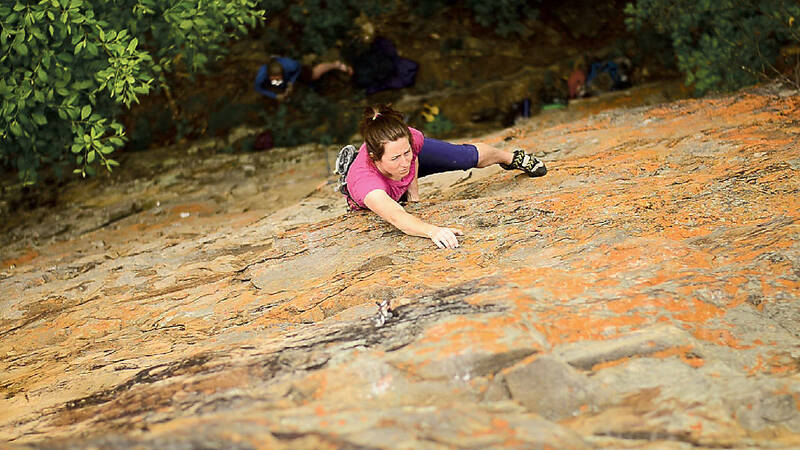 It also found that climbing at three outdoor locations near Chattanooga — not including Foster Falls — was responsible for at least 16,565 non-resident visits during the 2015-16 climbing season. Denny Cove figures to add another attraction to draw outdoor enthusiasts who add to the Chattanooga economy and the surrounding rural communities. "The quantity of climbing routes there, the quality, the natural environment, in coming decades it will be a local staple and a regional destination for climbers," Lesch-Huie said. "From some of the feedback we've received from other climbers and from what we've seen ourselves," she said, "it definitely has the potential to be one of the top climbing areas in the region."